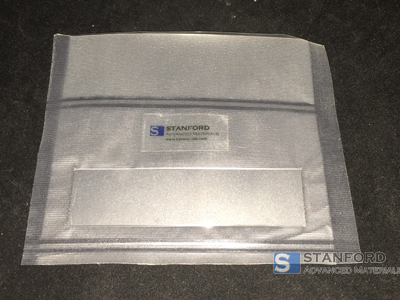 Stanford Advanced Materials (SAM) provides high purity Beryllium Foil and Beryllium Sheets in varying size and thickness for a wide range of industrial use. Pure Beryllium metal is available in the form of sheet, rod and plate. Other shapes are available by request. Beryllium (Be) is a brittle, steel-gray alkaline earth metal. It is strong, lightweight, and has a modulus of elasticity 50% greater than steel. 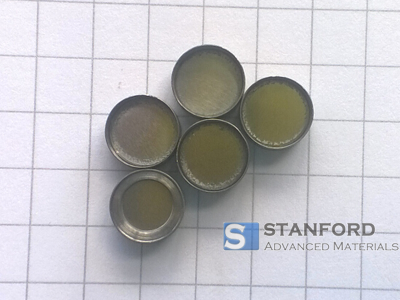 It is non-magnetic properties and has a higher specific heat than any metal. Beryllium retains excellent properties at elevated and cryogenic temperatures, making this fascinating metal an ideal thermal conductor. Because of its low density and high thermal conductivity, beryllium has many applications in aerospace and military industries. Beryllium is also transparent to X-rays and other forms of ionizing radiation, making it a great material for X-ray windows. It is frequently used as a material in acoustic applications for its damping properties and high stiffness-to-weight ratio. Beryllium is relatively transparent to X-rays and other forms of ionizing radiation. Therefore, it is the most common window material for X-ray equipment and components of particle physics experiments. 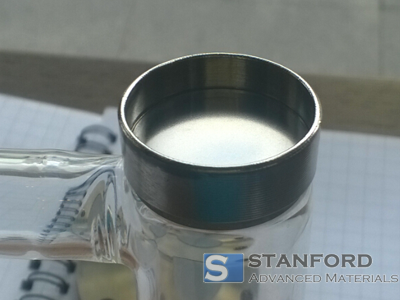 The Beryllium foil could be as thin as 0.0008 inches and 100% tested for vacuum tight. The foils are supplied cut to shapes such as discs, rectangles and other custom shapes. If you require beryllium in thicknesses greater than those shown here, see Beryllium Sheet. No detectable leakage - Tested by a sensitivity of 1x10-9 atm-cc/sec helium mass spectrometer leak detector. 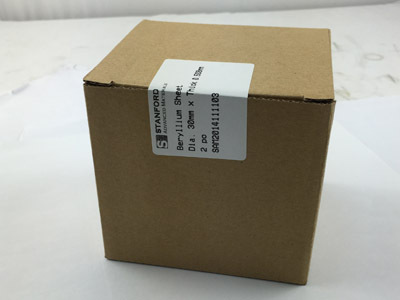 Uniform in quality and condition, clean, sound, and free from foreign materials, or internal and external imperfections 0.45μm Ra or better surface finish. • Used in the medical industry for imaging, diagnostics, and laser applications due to its strength and stability. - Beryllium is used in imaging equipment for Homeland Security. - Beryllium foil is used in high-resolution medical radiography. - Beryllium is used in analytical equipment for blood, HIV, and other diseases. • Used in communications to manufacturing telecommunication infrastructure and telephones. - Beryllium materials have low electrical resistance and high thermal conductivity to support the convergence and miniaturization of compact devices. • Used for aerospace and military applications due to its lightweight properties, low density and high thermal conductivity. - Lightweight beryllium components are frequently applied to electronics and military systems requiring precise operation under extreme conditions. - Pure beryllium used in military fighter jets requiring speed and maneuverability. - Beryllium components enhance surveillance and targeting systems in military helicopters. - Military communications use copper beryllium alloys in network tubes, rotors, and switches due to its high strength and electrical/thermal conductive properties. - Used as a component in particle physics experiments. - Used as a material in acoustic applications for its damping properties. - Beryllium is used to manufacture x-ray tubes and detectors required to monitor the flow of water, oil, and gas during well extraction. Our beryllium foil is carefully handled to minimize damage during storage and transportation and to preserve the quality of our product in its original condition.